I lost one volume of my Mikraos Gedolos. I cannot find a sefarim store that is willing to sell me just the one volume, and cannot find it on Amazon. 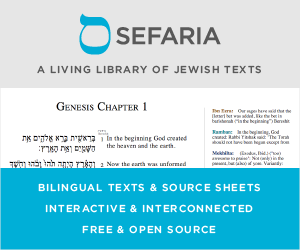 Is there a website or store that is willing to break up sets of sefarim to sell individual volumes? Ebay is your friend. I'm currently seeing a few dozen single volumes for sale there, although obviously the selection will fluctuate. I've had good luck getting single volumes at used book sales and used book stores. Stores that focus exclusively on new books won't be much help here. What metro area are you in? If you're in the DC/Baltimore area I can point you to a few used book sellers that might be able to help. In NYC try Mizrahi Book Store (3114 Quentin Rd, Brooklyn NY 11234). I've even found random seforim turn up in the foreign language sections of regular run-of-the-mill used bookstores in Jewish areas. Beyond that you can try abebooks.com (used books galore) and amazon. With both of those two you may have to spend some time with alternate spellings, translations, and transliterations in order to find what you need, but the more common stuff (like mikraot gedolot) can be found on those two sites. If what you want has an ISBN that's definitely the way to go. If you live in NYC, Beigeleisen (sp?) on 16th avenue in Brooklyn, and the other store two doors down from them (forget the name) both sell used sefarim out-of-set. Online you can contact http://www.jewishusedbooks.com/ which sells individual volumes. In Lakewood there is a Sefarim store in the basement of the Capital Hotel that sells used Sefarim and sells many individual volumes. I was able to find individual volumes of the The Pentateuch and Rashi’s Commentary - A Linear Translation into English on Amazon.com. Start out by using a used book metasearch engine to look for what you want. I know a couple of (secular) used booksellers and I hear that http://used.addall.com/ is good. If that doesn't work, set up email alerts with various websites. Start out by setting up an AbeBooks "want" and an Ebay saved search with email notifications. AbeBooks supports Boolean searches, wildcard searc*, fuzzy~ searches, and "proximity searches"~2. See their instructions. Wildcard and fuzzy searches are especially useful when searching for transliterated titles. Ebay advanced search supports Boolean logic. See their instructions. As Bachrach44 pointed out, you may have to spend some time with alternate spellings, translations, and transliterations. You should also try pasting the Hebrew title of the book you want into the search box: some sellers add Hebrew to their listing title or keywords. Which volume of your Mikraos Gedolos is lost? How did you lose it? And may I ask (approximately) where you live? Why is “שבי” switched from masculine to feminine?